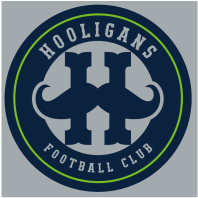 Team Logo: Two columns with mustache creating an 'H' inside gray circle, surrounded by navy/neon green/navy outline. 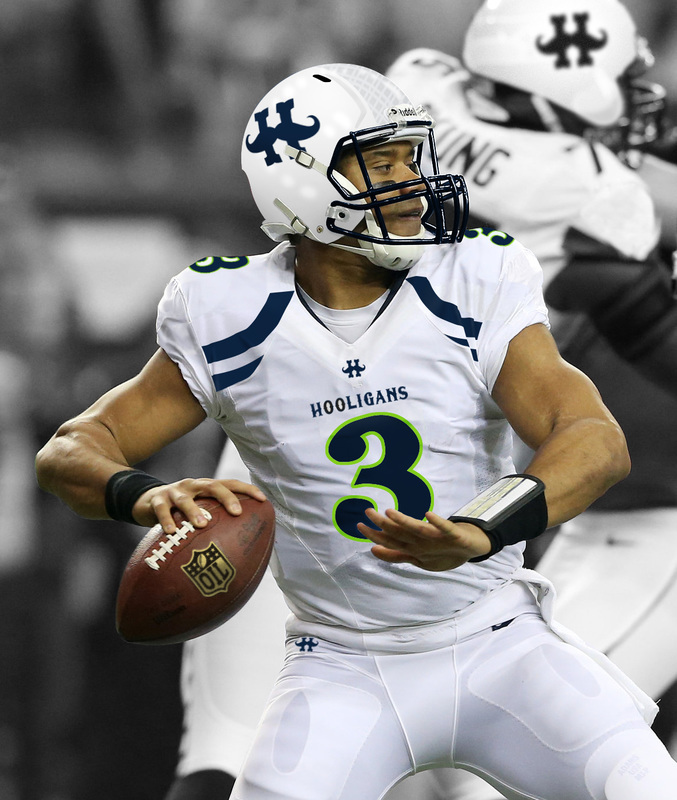 2014 QB Russell Wilson (Credit: /u/spuddy0108). Neely spent the 2006 season leading the SECFOR mission as the 158's company commander. 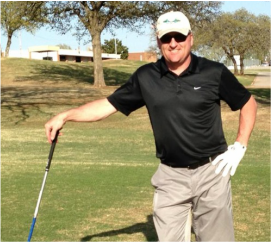 He still wears the uniform and never lost touch with Justin "Brick" Cliburn. 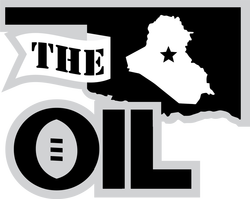 So, when the OIL expanded to two conferences, Brick invited Neely into the OIL. He went 7-6 in his first season and made the playoffs. But his luck changed then as Green's Doughboys knocked him out in the first round.